Belgian Tervuren came to be known in the later 19th century and was named after a small village area in Belgium. It was recognized in 1959 as Belgian Tervuren but prior to that, it was popular as Belgium Sheepdog. Popular as one of the most elegant and intelligent among the four Belgian sheepdogs, it is also athletic and thus, has been great in performing his real task of herding. The most popular statement about Belgian Tervuren is that it is always moving unless it is commanded not to. Originally, these dogs are called Belgian Tervuren. The country of origin of Tervuren is Belgium. The height of male Tervuren is approximately 24-26 inches while that of a female Tervuren is 22-24 inches. The weight of male Tervurens is approximately 65-75 pounds, while that of female Tervurens is 60-70 pounds. 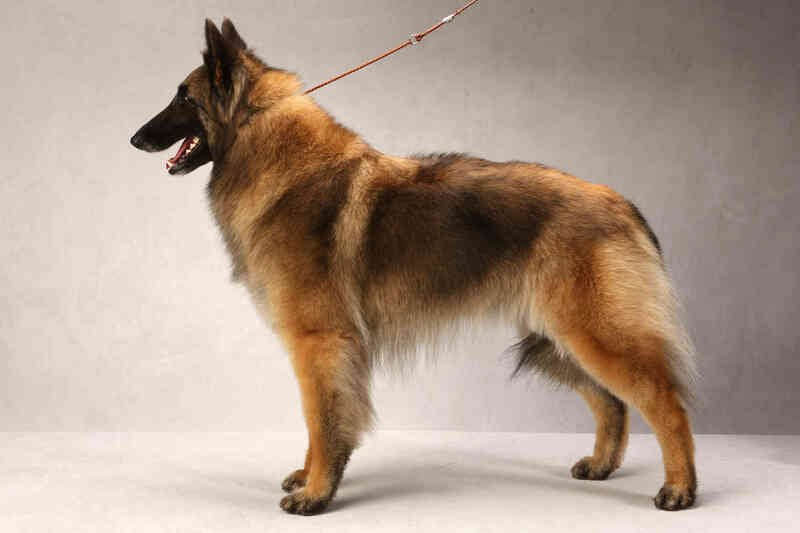 Usually, Belgian Tervuren are found in rich colors including fawn, mahogany with a slight black tinge. Their chest is usually either black or a combination of black and grey. 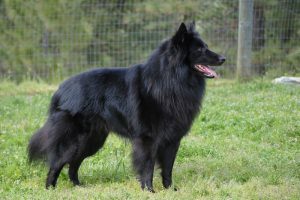 It is typical for a male Tervuren to go darker in color as they age. They are a double-coated breed with a topcoat, which is harsh to touch and has straight and long hair as compared to the soft undercoat that provides them weather protection and varies in thickness depending on where the Tervuren lives. Belgian Tervuren belongs to the herding breed of dogs. The average lifespan of Belgian Tervurens is from 10 to 12 years. Belgian Tervurens appear to be medium-sized strong dogs that well balanced features. He is well muscular and appears very elegant and sophisticated with his physique and the way he stands firmly on the ground. With all the strong features, they do not look bulky at all. In appearance a female Tervuren has distinctively feminine looks. Belgian Tervuren, in general, has black tight lips and almond-shaped eyes that are typically brown in color. 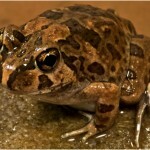 Their ears are erect and triangular that makes their height and width all the same. They have relatively straight legs and their feet are typically cat-like. Tervurens’ tails are very strong at its base. They have two coats; an outer coat that is harsh in touch with long hair and an undercoat that is dense. Tervurens are supposed to be intelligent and smart and thus are characterized as highly trainable. They like to think and analyze circumstances on their own and thus, to literally make him obey your commands while training you need to first earn his trust. This can be easily done by less or no use of anger because he doesn’t like to be intimidated. You shouldn’t be harsh at all with him while training. He does great with consistent and just rules put on him while incentivizing his good behavior and rewarding them. Belgian Tervurens are one among four different varieties of shepherd dogs that are famous in the areas of Belgium villages. These include Malinois, Tervuren, Laekenois and Groenendael. Earlier, Belgian Shepherds were used as guard dogs to protect the owners and property. They were also one of those dogs of that time used by police of Belgium. After they were brought to the US around 1950s, they were later declared as a separate breed from other varieties of Belgian Shepherds and then their elegance and sophistication made them assume a different role in the community. Belgian Tervurens are not prone to serious diseases and are generally healthy but like all breeds they also are vulnerable to harsh unhealthy environment. They may have problems like Hip Dysplasia, which is a heritable health condition on the hip joints; Progressive Retinal Atrophy, which is an eye disorder; Elbow Dysplasia, which again is a heritable health condition where three different bones grow differently and thus get relocated; and Epilepsy, which causes seizures. Tervurens are both indoor and outdoor dogs. To make them be their best and have their best observant and alertness skills, they should always be accompanied by you and shouldn’t be left alone. This breed requires a lot of mental stimulation activities and thus plenty of play time and interactive games. They should be kept in a large but fenced area because they have a lot of chasing instincts. They are always in motion and love to chase anything that is moving away from them. You should start their early socialization for them to get along with other pets. A good exposure to all the necessary sounds and experiences is necessary for them to learn things at the right age. They should be fed around 2 to 3 cups of dry food items of really high quality. However, these should not be given at one time but divided in two meals. It is also dependent on the size and metabolism rate of your particular dog. Belgian Tervurens shed all year round. However, there is a difference between male’s shedding and female’s shedding. Males are typically seen to shed heavily once every year, however, females shed heavily in each cycle of heat. To take care of this, they should be brushed ideally for about 20 minutes to get rid of all the dead hair altogether. Belgian Tervurens are famous as being charmers to whomever they live with. 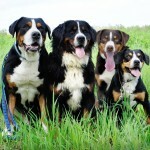 They are very elegant dogs with great intelligence and a knack for alertness. He also has a great sense of humor and can respond very well to all your wits. The Tervurens will always stand upright in front of strangers and always be alert to protect his family from any kind of threat from the strangers. Nevertheless, he is very demanding of attention and care. He wants his family to spend time with him because he has a temperament of loving all the activities he does with his family. Earlier, its basic function was to be used for the herding purpose however, it can do a lot of things now. He is very active in doing all kinds of dog sports and assists you around. Also, since he is always in motion, be prepared to be doing things and making him participate in activities when you’re around him. For this particular reason, it is not usually recommended for people who are inexperienced with dogs. If someone has not spent enough time around dogs, his more than average activity efficiency and alertness can overwhelm and tire you. Belgian Tervurens do well with kids however, they like more to be around adults. If you want them to get along well with other animals, you should keep in mind that they are brought up with because they might have issue with stranger animals on their property. Belgian Tervurens require a good exercise time, which should ideally be as much as one hour for their mental stimulation. They shed heavily and throughout the year so spend a weekly time of brushing for as long as twenty minutes. If they are raised with other animals, they can get along with them really well. Some Tervurens may be really shy. They need to be kept in a fenced yard because they have a habit of chasing bicycles and cars and anything that is moving away from them. They are characterized as very intelligent, smart and alert dogs with extremely high energy thus, they should be kept by inexperienced owners.